How Does Aaron Rodgers Stack Up Against the All-Time NFL Greats? Aaron Rodgers is good. In fact, if you ask us, the Green Bay Packers signal caller is currently the best offensive player in all of the National Football League, but that’s a story for another day. Given his prowess, it’s safe to assume that the Packers will be among the top Super Bowl contenders in the league as long as they have Rodgers under center. After taking over for Brett Favre as the Packers’ starting quarterback in 2008, Rodgers wasted little time establishing himself as one of the game’s premier players. Posted in Green Bay Packers, Sports | Comments Off on How Does Aaron Rodgers Stack Up Against the All-Time NFL Greats? If it had been a video game, the screen would have flashed “Game Over.” The pro football powers-that-be might want to take a similar stance after three whirlwind days in Philadelphia last week for the annual primetime televised flesh market known as the NFL Draft. The NFL, whose first draft happened in Philly — where the league offices used to be located, where NFL Films was born, and where the first commissioner, Bert Bell resided — should not mess with a winning formula. Current Commissioner Roger Goodell — who was booed by most of the 100,000-plus fans jamming the Art Museum area every time he took the stage — and the lodge brothers known as the NFL owners should put the wannabe cities out of their misery. Founded in 1933, the Steelers have built their winning brand upon teamwork, gritty play, and above all, defense. It’s no surprise, then, that the franchise has emerged as the perfect embodiment of a hardscrabble Western Pennsylvania region built upon blue-collar work — a bit of mythology reiterated by their (NFL record) six Super Bowl championships. In all, the Steelers have had 22 of its players, owners, and executives enshrined in the Pro Football Hall of Fame, something that makes breaking down this iconic franchise to 10 of its best players a test for any NFL historian. Who Will Be the Texans Week One Starter? As it stands now, the Houston Texans have three quarterbacks on their roster. It has been stated that Watson is not intended to be the week one starter. This could change since Weeden and Savage are nothing to write home about. Posted in Cleveland Browns, Sports | Comments Off on Who Will Be the Texans Week One Starter? 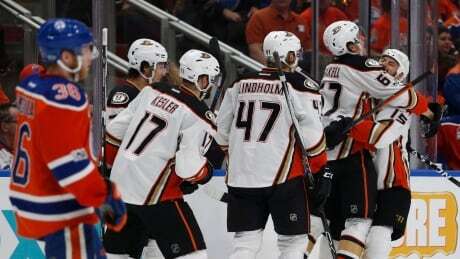 The Anaheim Ducks wrested some momentum back in their playoff series against the Edmonton Oilers with a 6-3 win Sunday. Edmonton still leads the best-of-seven Western Conference semifinal series two games to one. After taking a hit to the knee by defensive end Calais Campbell in Week 13 last season, most Dolphins fans thought Tannehill was done with a torn ACL. After putting in backup quarterback Matt Moore as the starter, Miami was not sure if they would get Tannehill back for the season. Rachel Homan capped an impressive season of curling by winning the Champions Cup. The Ottawa skip downed Sweden's Anna Hasselborg 5-4 in the title draw at Canada Olympic Park on Sunday in the final Grand Slam of Curling event of the season. You are currently browsing the Sportspool.com Sports News blog archives for April, 2017.